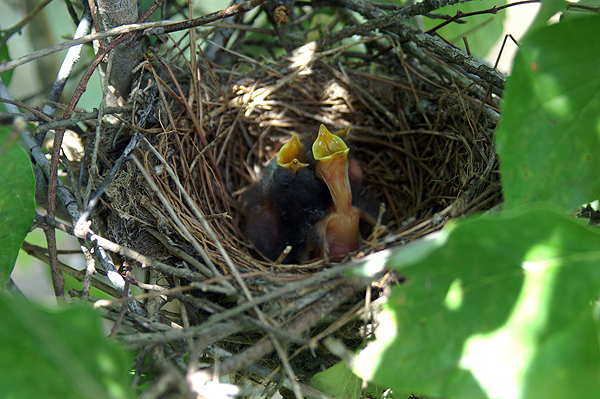 The three newly hatched baby mockingbirds are hopefully demanding food, while their sibling is still working on hatching. The gaping mouth of a baby bird is a powerful stimulus for adult birds to find food to stuff into the gaping mouth. This entry was posted on Friday, May 25th, 2012 at 6:25 pm. It is filed under Animals / Wildlife, New Images and tagged with animal, baby, beak, bird, gaping, hungry, Mimus polyglottus, mockingbirds, mouth, newly hatched, open. You can follow any responses to this entry through the RSS 2.0 feed.